Single Point LockHandle: This handle is used for Out Open Casement Window. This handle does not require a Transmission gear / Espagonellete. Both Side Door Handle with cylinder: This handle is used for Out Open door. The hands are on both the sides of the door. This is used in conjunction with Door transmission gear. There is a provision to use a cylinder in the above handle. 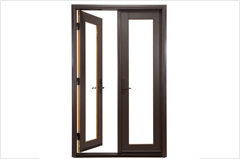 Both Side Door Handle:This handle is used for Out Open door. This is used in conjunction with Door transmission gear. Friction Hinges: These are used in Out Open Window friction hinges are concealed inside the windows & are not visible. 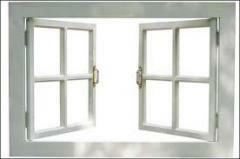 These allow the window to be opened at various angles. 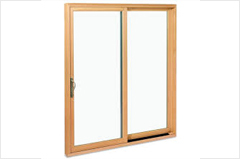 75 mm Window Hinge: These window hinges are used to open the window completely. 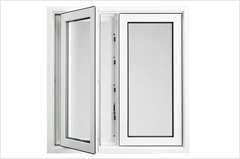 100 mm Door Hinge: These window hinges are used to open the window completely. Door Hinges: This is used in Out Open Window & Door. This can be used in windows when Double glass is used. 2D Hinges: This is a hinge for door.It can be adjusted in 2 ways after being fixed to the door. 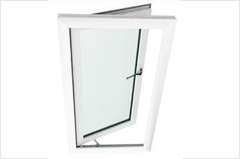 Single plate gear: This is used in Out Open Window. 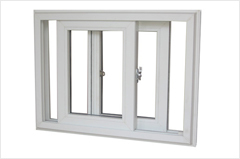 And locks the window at 2 – 3points depending on the height of the window. This makes the window much more secure & safe. 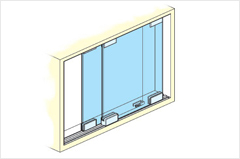 This system ensures that the windows do not bend at top & bottom. 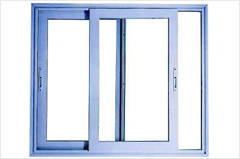 Multi Point Door Gear:This is used in Out Open Door and locks the window at 2 – 3points depending on the height of the window. This makes the window much more secure & safe. Multi Point Gear with Mortice Lock: This is used in the Out Open Door. The Door is locked at 5 points therefore making it highly safe & secure.